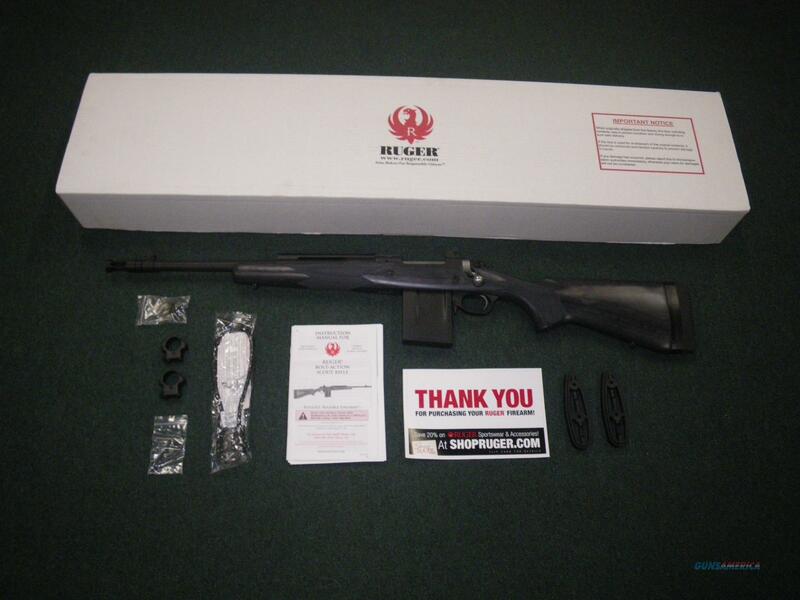 Description: You are bidding on a new left handed Ruger Gunsite Scout in 5.56/223 Remington with a 16" barrel. A precision-rifled medium contour cold hammer-forged barrel provides exceptional accuracy. The non-rotating Mauser-type controlled round feed extractor features a fixed blade-type ejector that positively ejects the empty cases as the bolt is moved fully rearward. Integral scope mounts are machined directly on the solid-steel receiver. Scope rings are included. A flash suppressor reduces flash and can be removed from the 1/2-28 threaded barrel. A forward mounted picatinny rail accepts your favorite optics or accessories. It includes a ghost ring adjustable rear aperture sight and a protected non-glare post front sight. The soft rubber recoil pad comes with three 1/2 inch spacers. It also includes a three-position safety and sling swivel studs. Displayed images are stock photos. Any questions please feel free to ask (our phone number is in the additional information tab above).